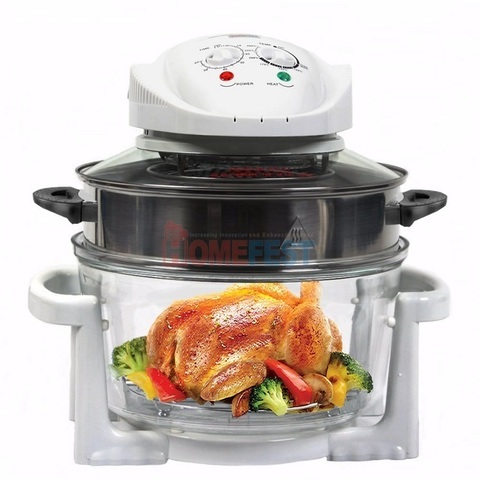 Quick cooking with hot circulating air, 2~3 times faster than standard oven. Hot moving air circulates around the food, providing consistent heating throughout. Healthy cooking - No soot, Non-radiative. Meat sears quickly on the outside, preserving flavor on the inside. 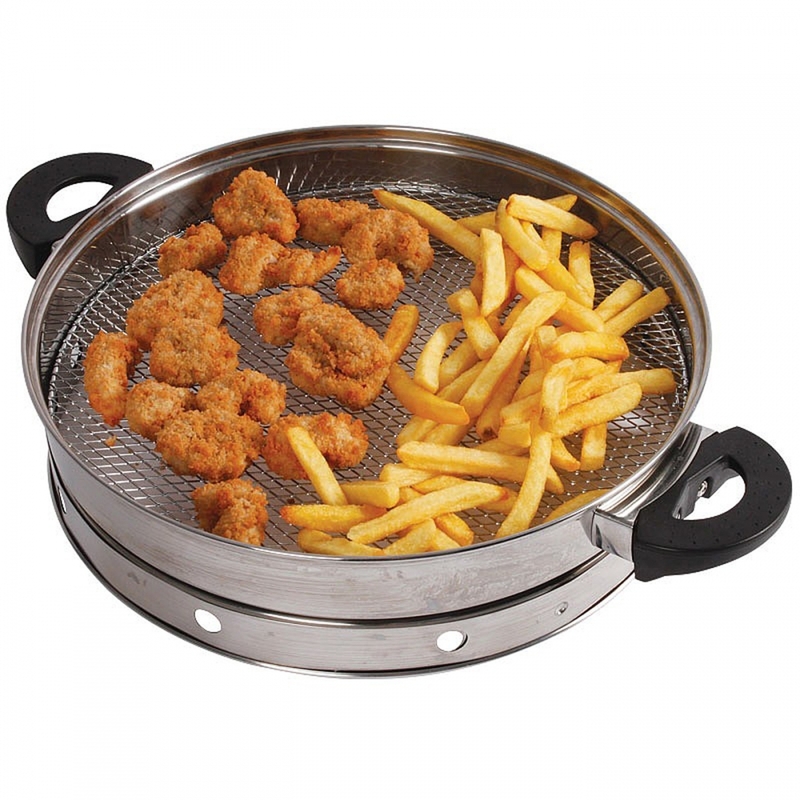 Use up to 80% less oil or NONE at all for cooking yet still obtain juicy and crunchy textures of frying. Convenient handle pausing for flip-over or spice adding mid-intervals.